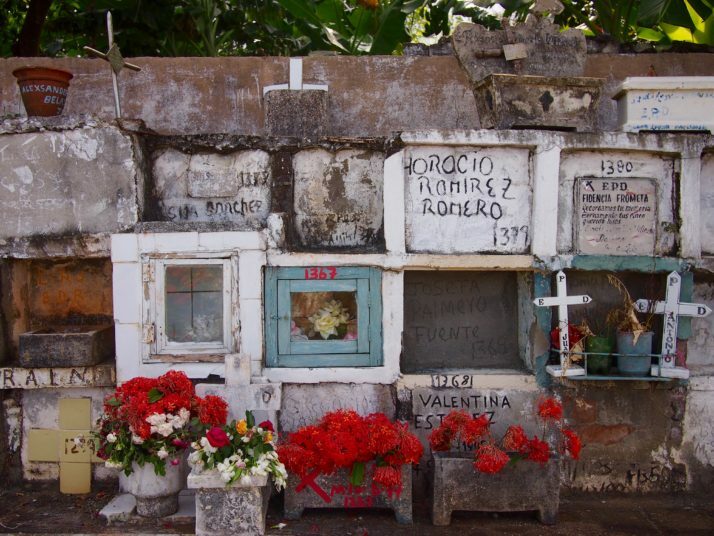 We find cemeteries to be fascinating places to visit – they give an insight into a country’s religion and cultures as well as often containing sculpture and interesting architecture. All of which makes them great places to take photos. 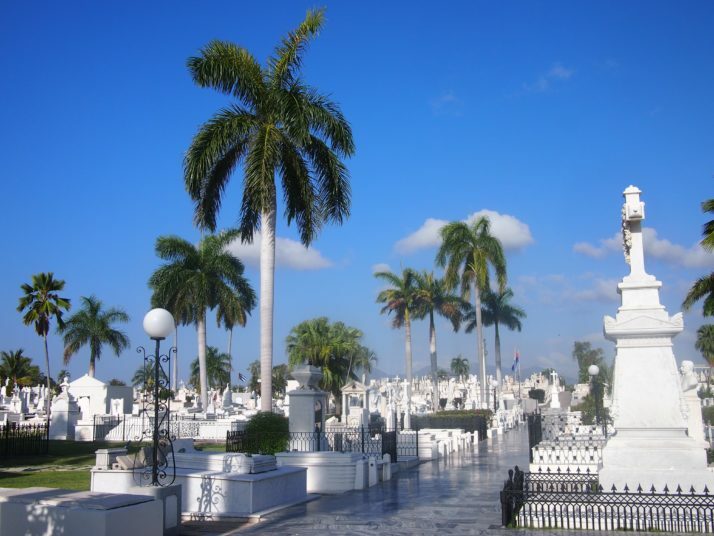 In Cuba we found cemeteries to be peaceful, hassle-free places to explore, though be warned if you want to follow in our path, there’s rarely any shade and the heat can be brutal in the middle of the day. 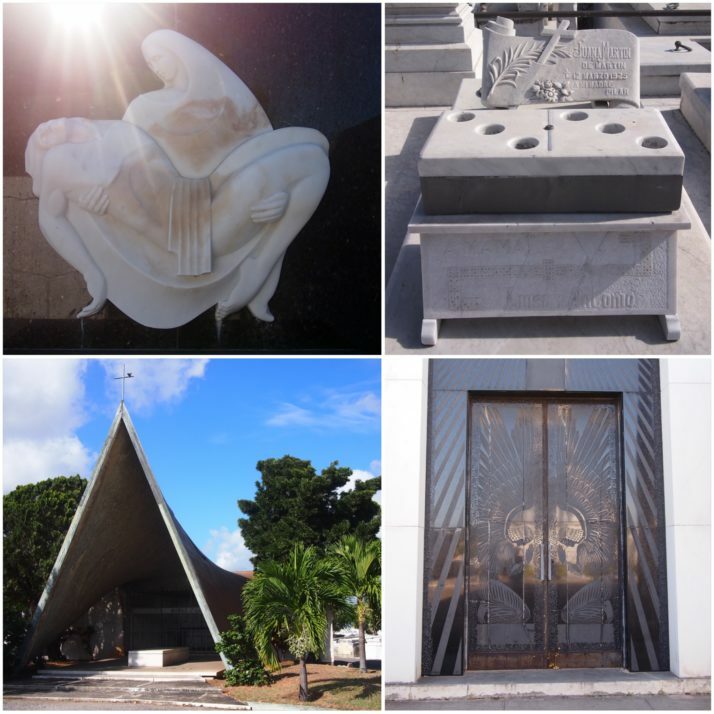 Here’s a selection of my favourite photos from the Cuban cemeteries that we visited. 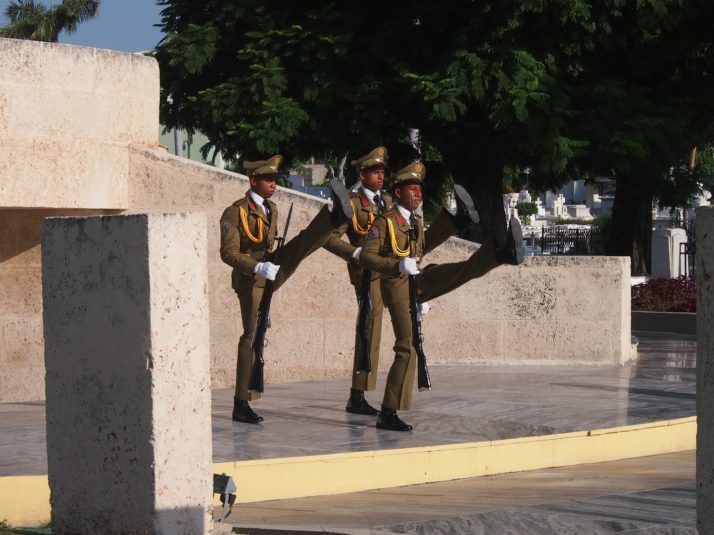 There is a twice hourly changing of the guard ceremony at José Martí’s tomb. At 8.30am we were the only ones there, by 10.30am the audience lining the path was large. 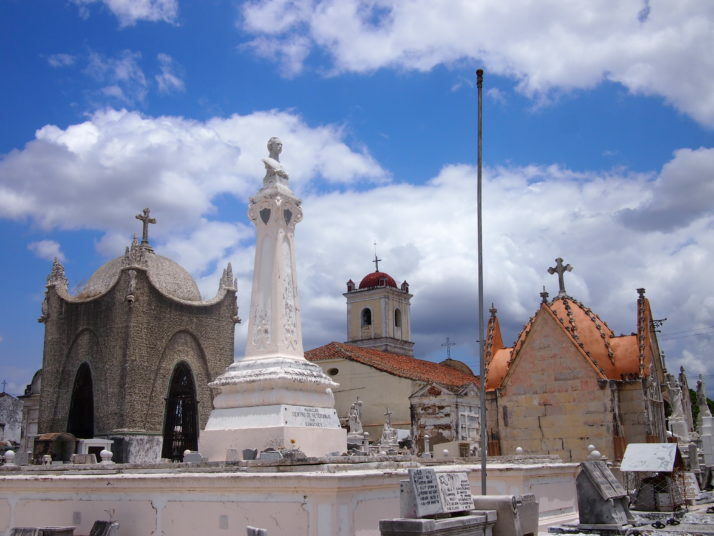 The cemetery in Camagüey was one of my favourites and with barely any other visitors (and no other tourists) we were free to have a good look around. 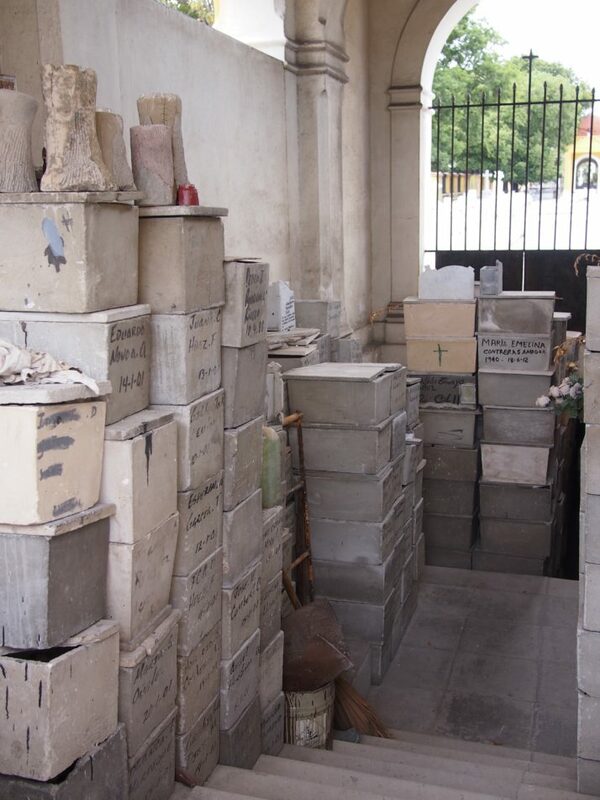 These grand tombs are close to the entrance near the Iglesia de San Cristo de Buen Viaje (Church of St Christopher). 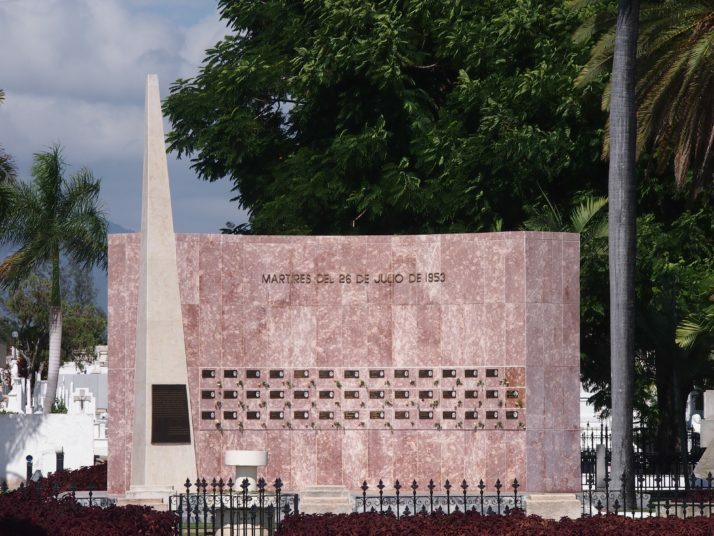 In Santa Clara we didn’t visit the cemetery but the city is home to the most famous mausoleum in the country which contains the remains of Ernesto ‘Che’ Guevara and 16 of the 37 fighters who were killed alongside him in Bolivia. 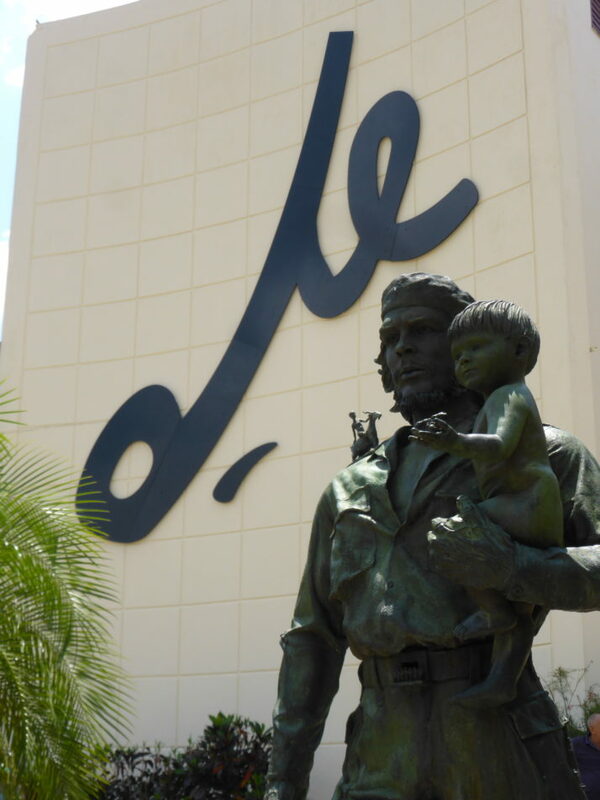 Underneath the statue is a peaceful room of remembrance and an interesting museum documenting Che’s life. 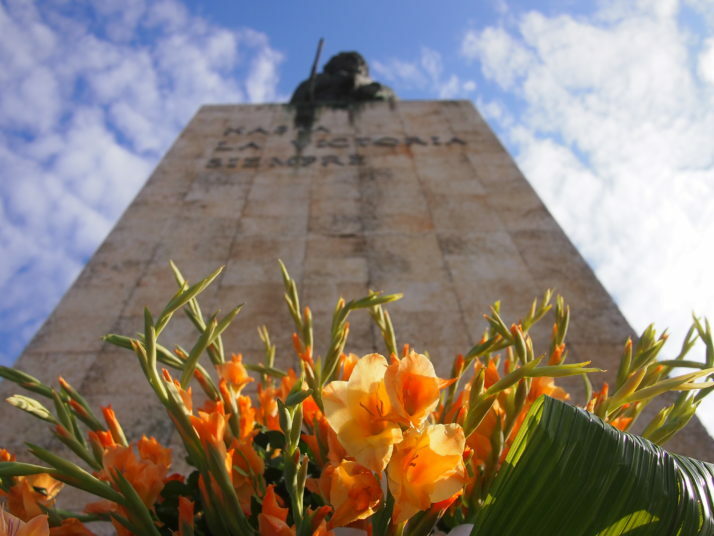 Fresh flowers are placed below the statue of Che each morning. 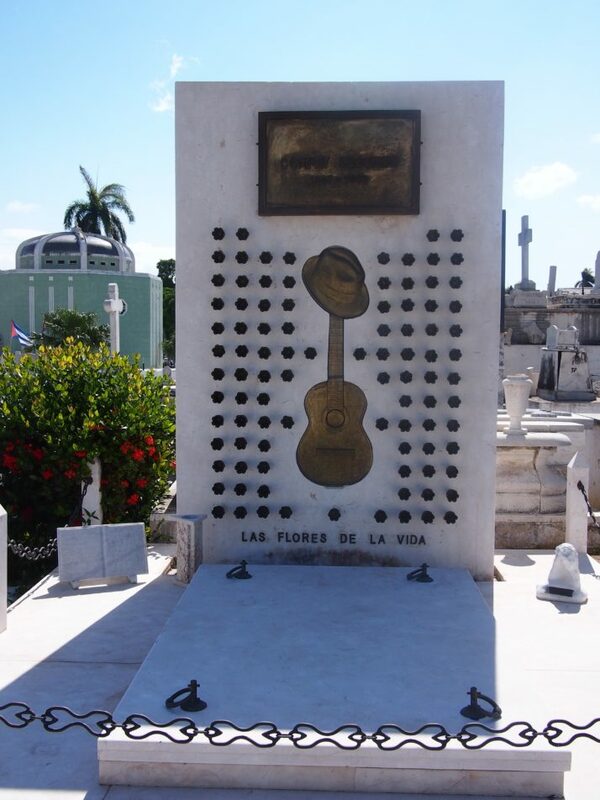 The most famous grave in the cemetery belongs to Amelia Goyri, also known as La Milagrosa or miracle-worker. 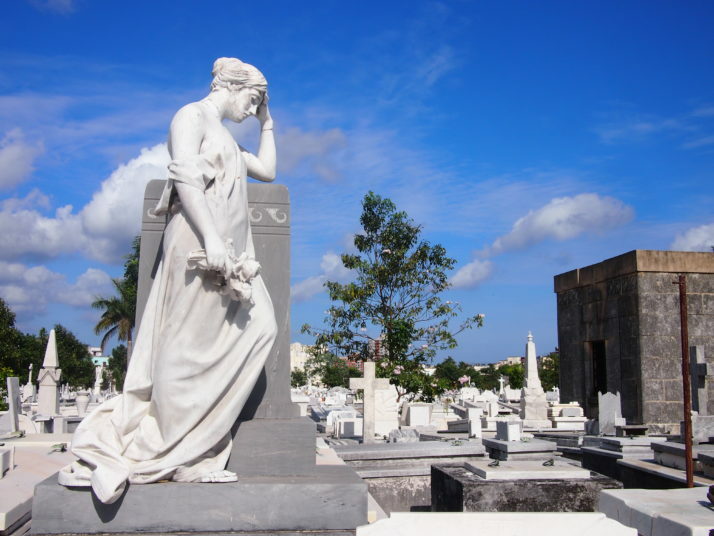 She died in childbirth in 1901 and was buried with her son. 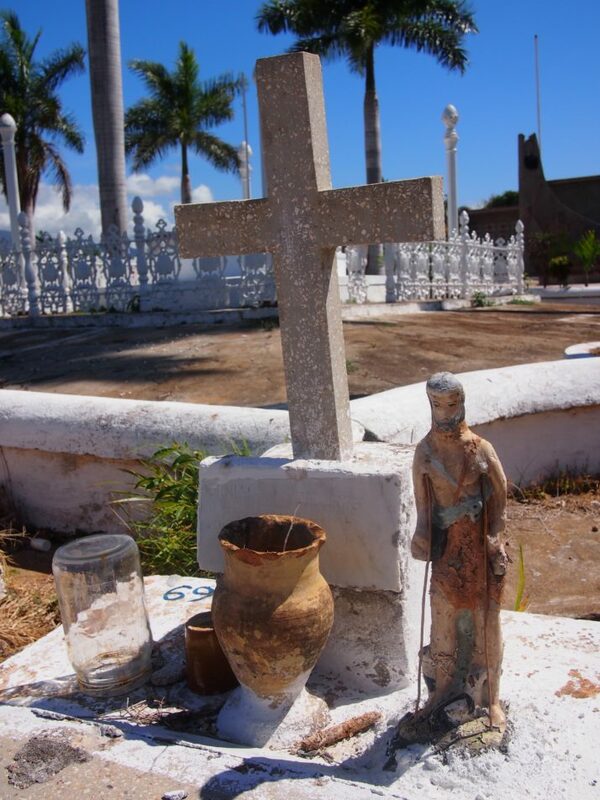 The story goes that when the grave was opened some years late Amelia’s body was uncorrupted and the baby was found not at her feet but in her arms. Since then locals have prayed for her to help with their hopes for children, new houses, etc and now several nearby plots have been overtaken with thank you messages from thoses whose wishes have been fulfilled. 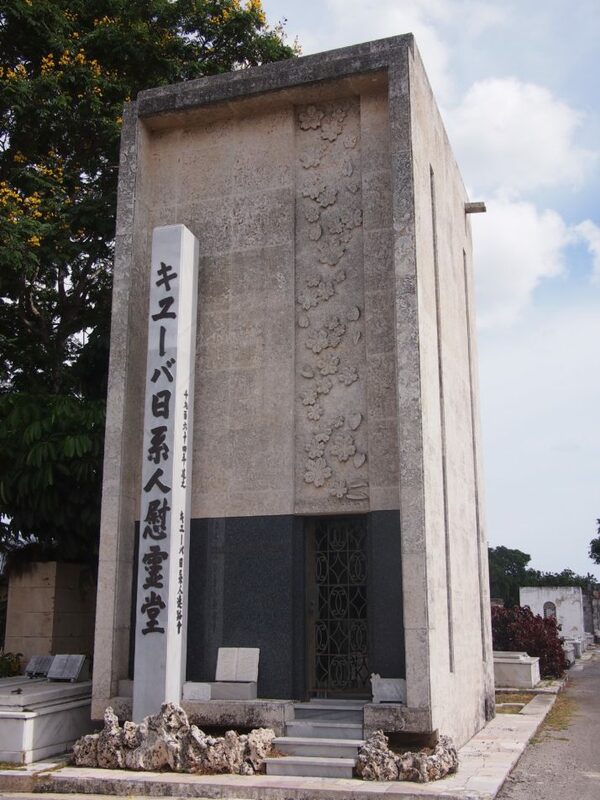 There were a number of mausoleums for societies like this one for the Japanese Colony of Cuba. Inside are walls of square niches. 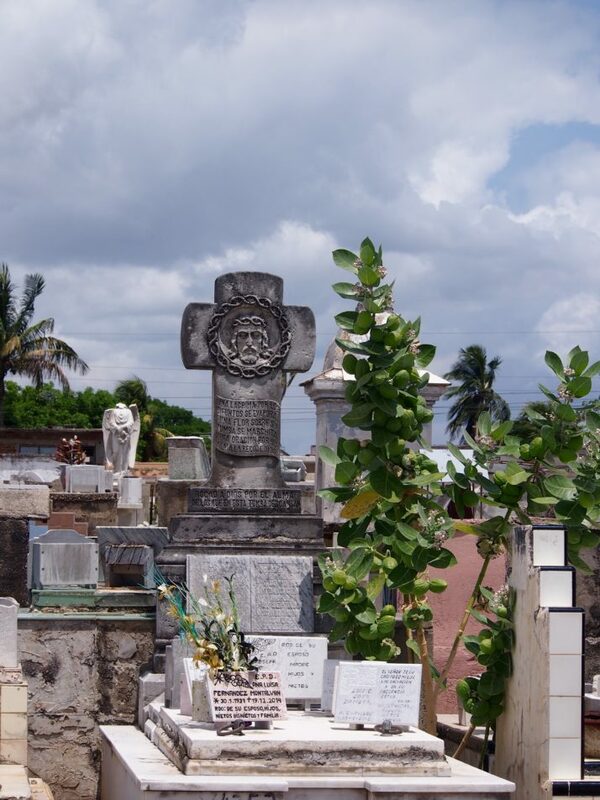 We visited the cemetery in Trinidad mainly to have a destination away from the tourist-filled city centre. We were rewarded with this tropically apocalyptic view. 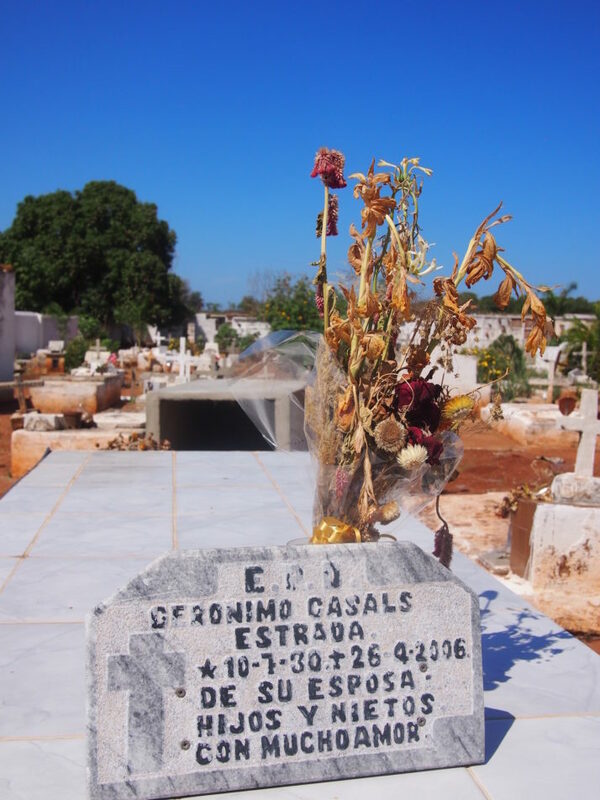 Flowers dry out very quickly in the hot Cuban sun and many graves had fake rather than fresh flowers. 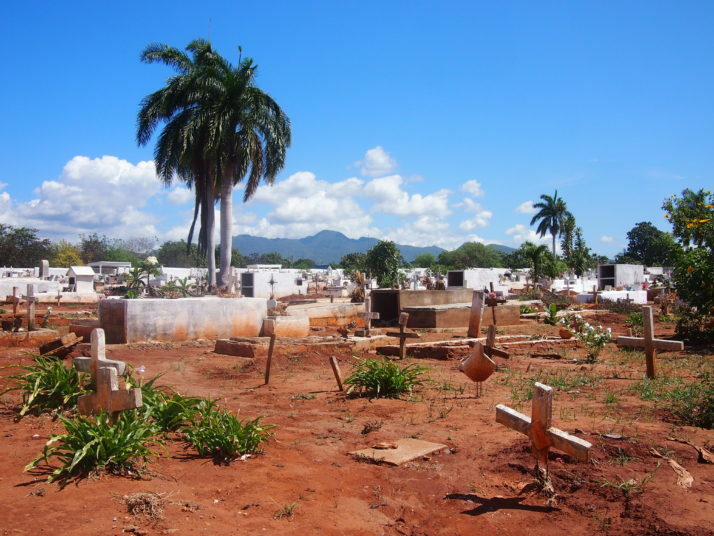 This entry was posted in Places and tagged Baracoa, Camagüey, Cemetery, Cuba, Havana, Moron, Santiago de Cuba, Trinidad on May 28, 2016 by Julie. 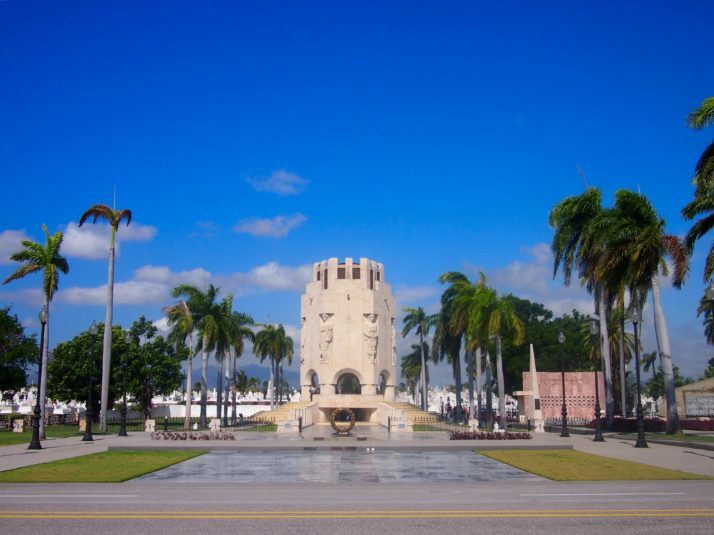 Holguín was our arrival city, direct from Manchester with Thomas Cook (flights only). 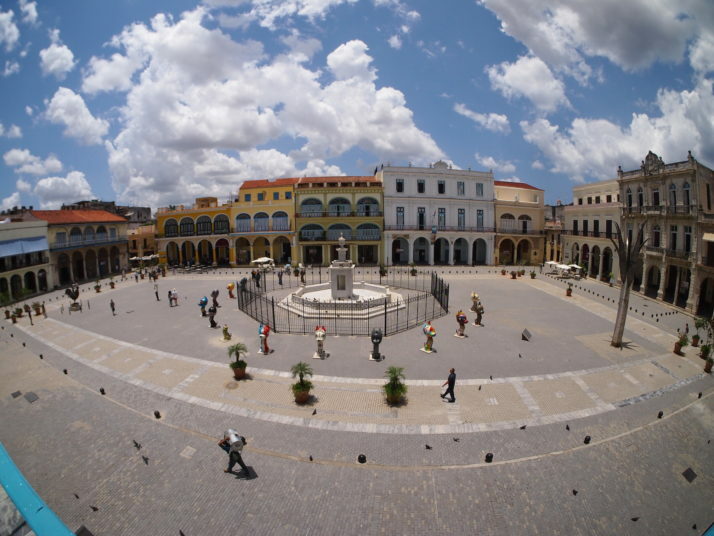 It’s a flat, easily walkable and navigable city with a renovated square, long pedestrian walking street, nice viewpoint and a disproportionately high number of classic American cars. 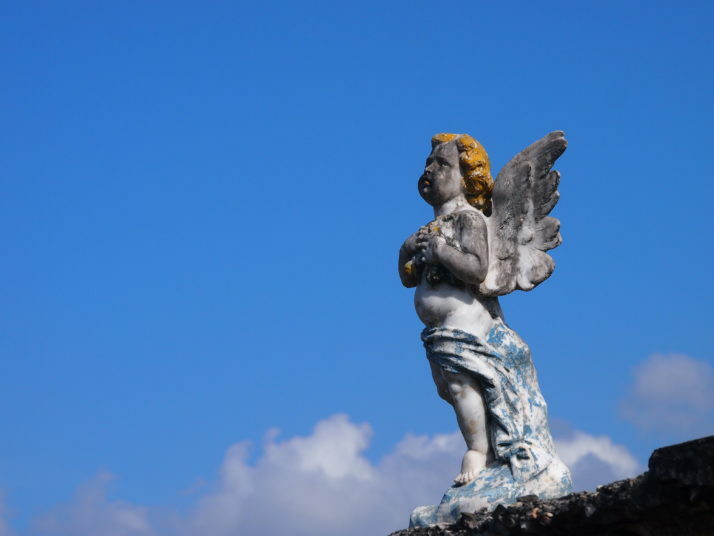 Holguín was the only place we’d pre-booked accommodation for from the UK, as we’d read that casa particular owners can help with onward travel plans, and I don’t know if our experience is common but it felt like we struck gold by staying at Casa Oscar. He stayed up past 10pm (twice) calling casas the length of Cuba to reserve our beds! 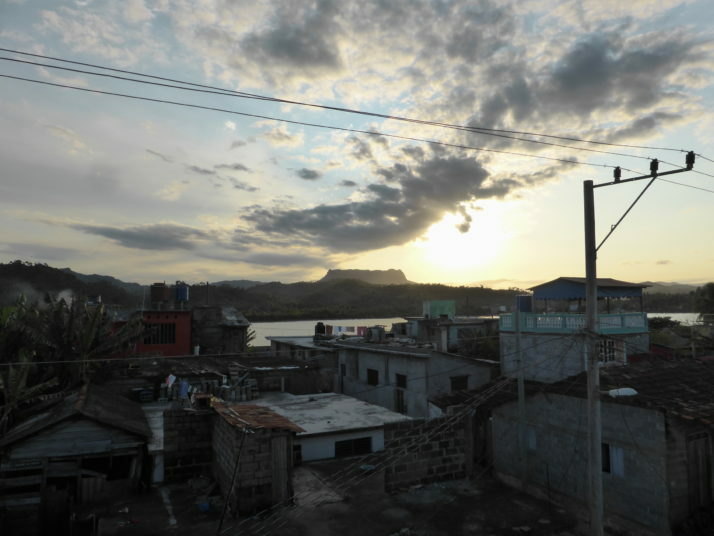 He cooks a mean fish dinner too..
Bayamo has a quiet, small-town, artisitic vibe. We arrived in the midst of a literary festival and we left with the feeling that cultural events are de rigueur. 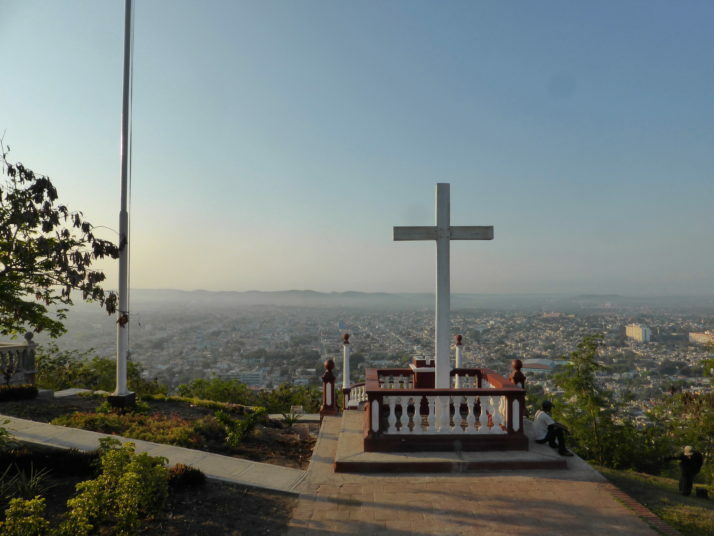 We hiked Pico Turquino in the Sierra Maestra, the highest point in Cuba, and Bayamo is the closest base to the park’s main entrance. 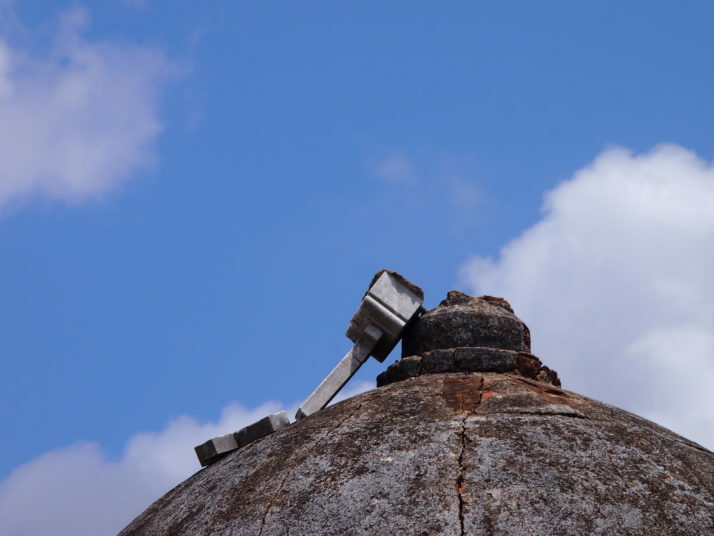 We found a lot to see and do in Santiago, and it’s one of our favourite cities of the trip. The 16th century Castillo del Morro UNESCO fort was bereft of other tourists when we visited, the 19th century Cafetal la Isabelica coffee plantation is another significant UNESCO sight we enjoyed visiting and Fidel’s fledgling revolutionary force attacked the city’s Moncada Barracks, which is now a museum. 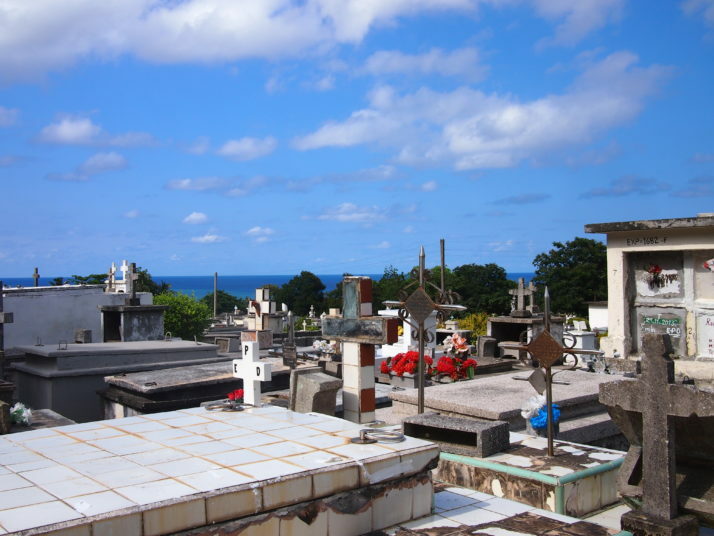 We also spent a lot of time in Santiago’s impressive Santa Ifigenia cemetery which we think rivals the Necrópolis Cristóbal Colón in Havana. 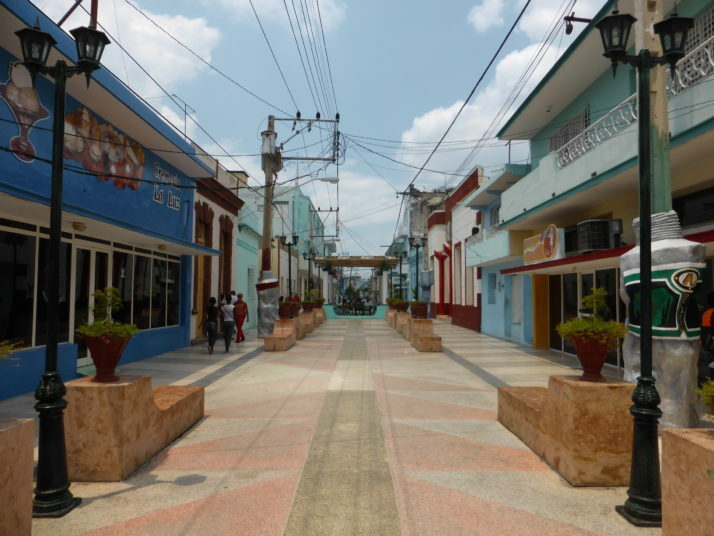 At the far eastern end of Cuba is the small, sleepy town of Baracoa where we found an even more relaxed pace to the rest of Cuba. We did a little more hiking in the unique environment of Parque Nacional Alejandro de Humboldt, spent an afternoon chilling at the beach and ate a lot of the coconut-based sauce that Baracoa is known for! 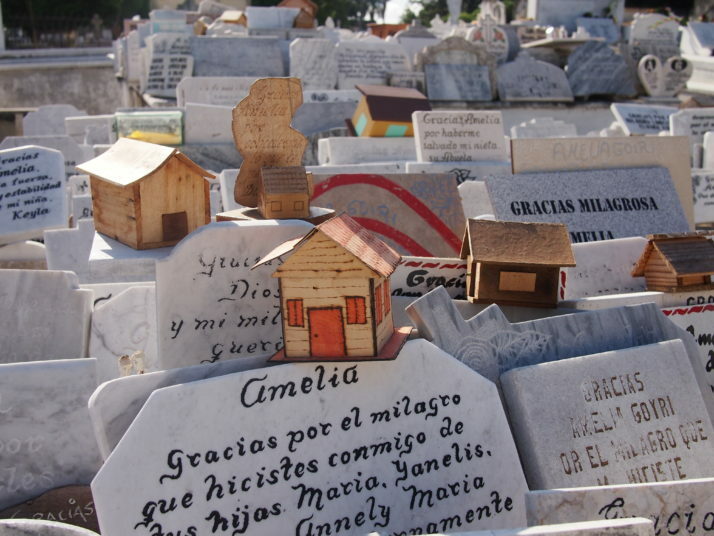 We loved wandering the twisty, winding streets between the parks and plazas, a layout which is unique to Camagüey and was designed to thwart looting pirates, admiring the many churches and restored buildings, and of course we had to visit the huge outdoor market where we scored some free cake! 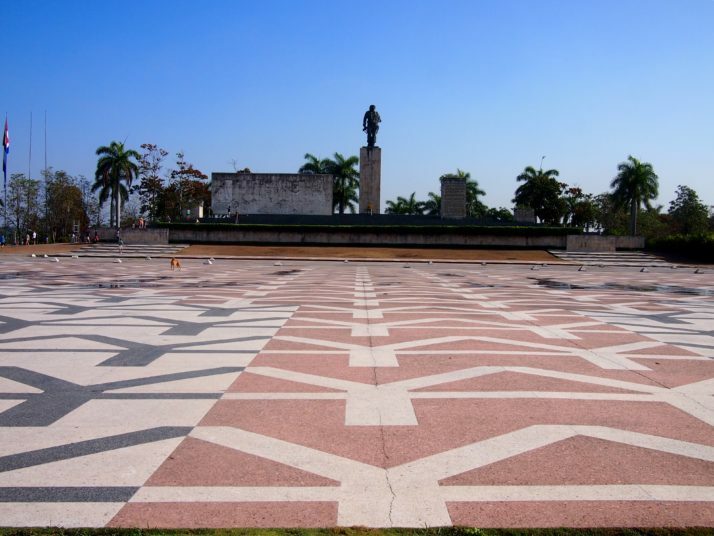 For us there’s really only one reason to visit Santa Clara, and that was to get our fill of all things Ernesto ‘Che’ Guevara. 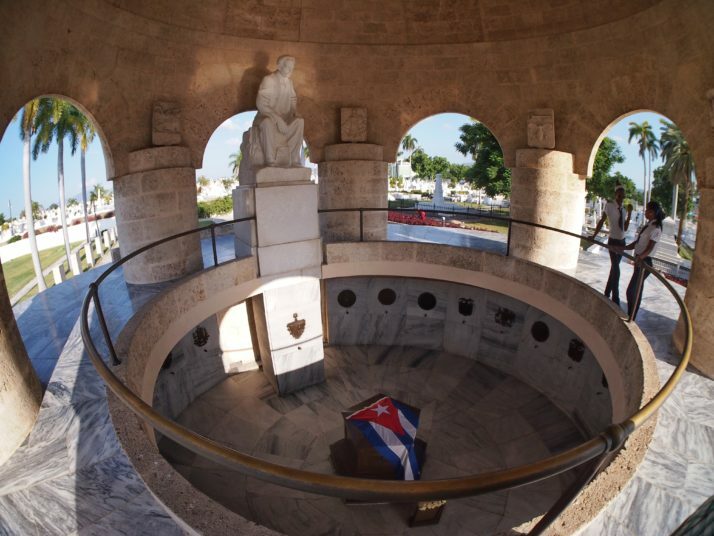 His mausoleum has an excellent museum and we also enjoyed the details in the life-sized statue of Che y Niño on the other side of the city. Even walking between all the sights, we had time to spare so we think at day at most is all we’d recommend in this hassle-heavy city. 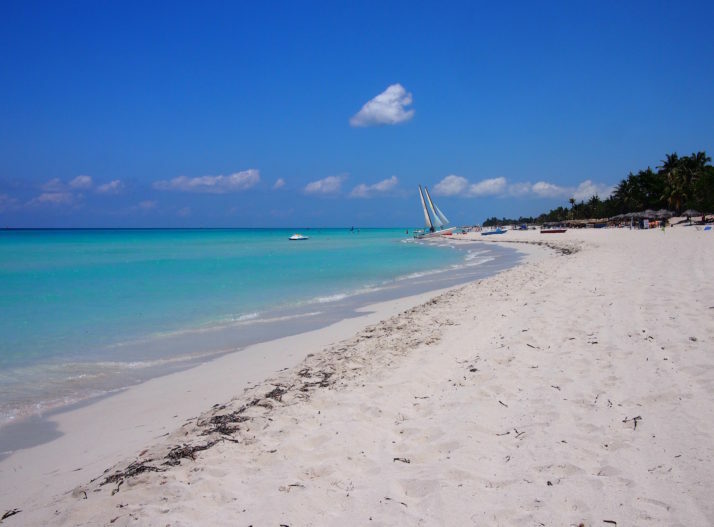 A beautiful beach town that doesn’t feel at all like the rest of Cuba – except for the queuing! It’s cleaner, the cars are immaculate and don’t belch black fumes, but the prices are higher as a result of the single-minded tourist focus. But the beaches and that clear, clear, turquoise water.. 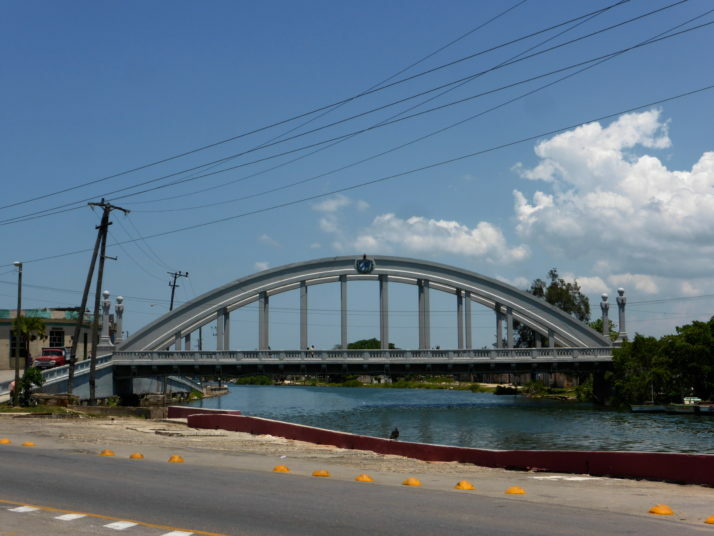 Known as the city of bridges, Matanzas was just what we needed after a few days in Varadero to gently remind us that we were still in Cuba. 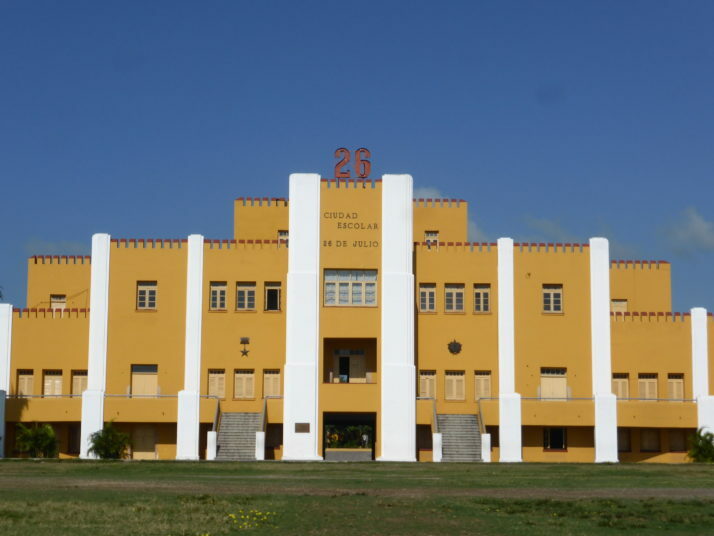 A good balance of architecture, history and an excellent pharmacy museum. 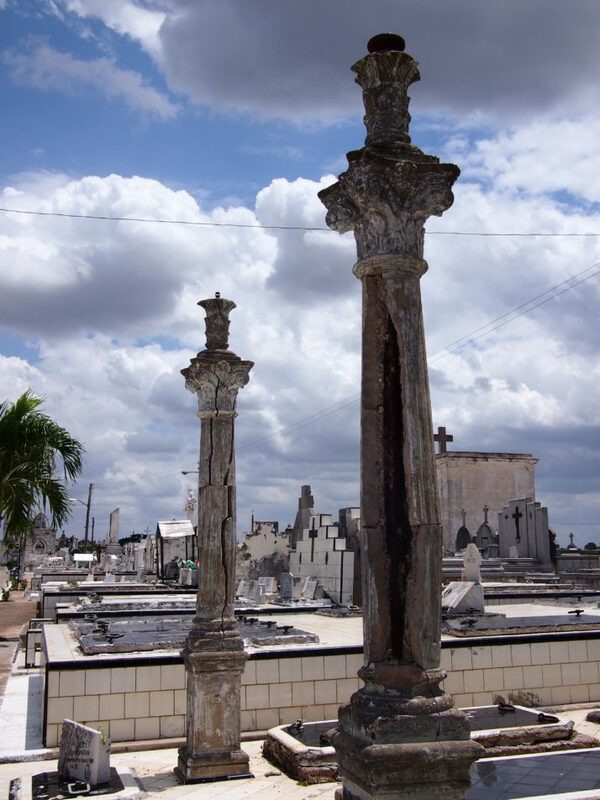 We spent nearly two weeks in the capital city of Havana – walking the length of the famous sea-wall Malecón, admiring the astounding restoration work of the City Historian’s office in the old town (and seeing how much work they have ahead of them), taking our time in the best art museum in Cuba, the Necrópolis Cristóbal Colón cemetery, the Hershey Train, and Fusterlandia are just a handful of our favourite experiences. 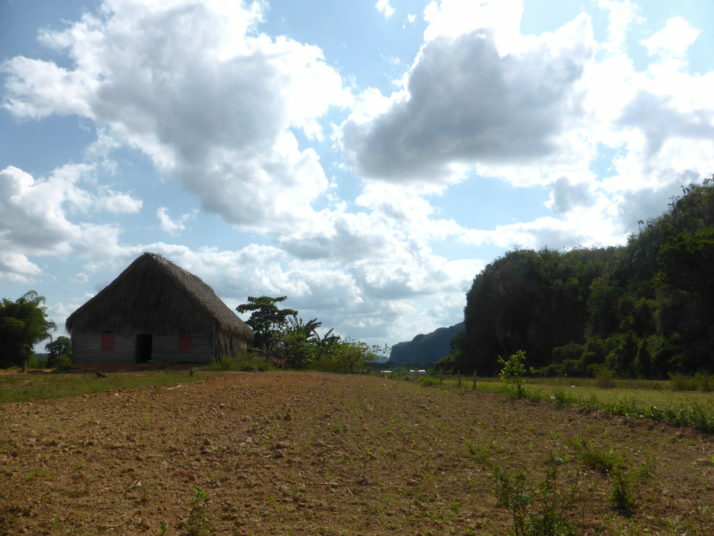 Our original plan didn’t include the Valle de Viñales as it’s a full day of travel there and back from Havana, but everyone we met who’d been said it was worth it. 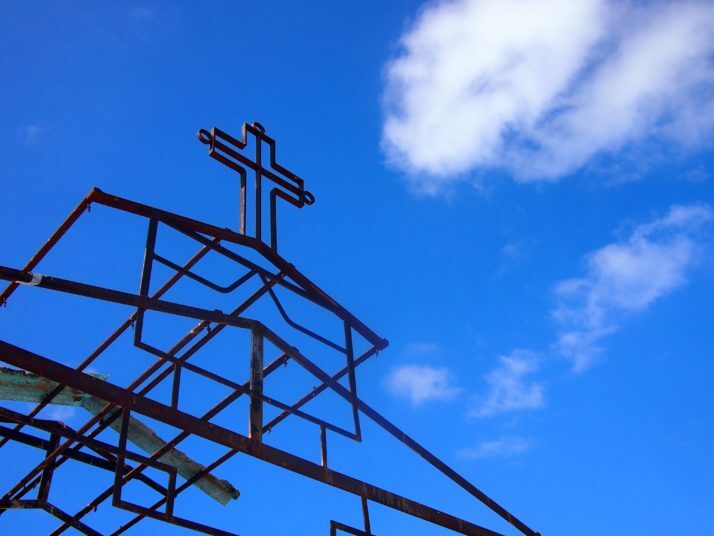 They were right – strolling and cycling on our own, seeing more farmers than tourists in the lush, mogote strewn, tobacco growing region of Cuba was a tranquil experience we thoroughly enjoyed. 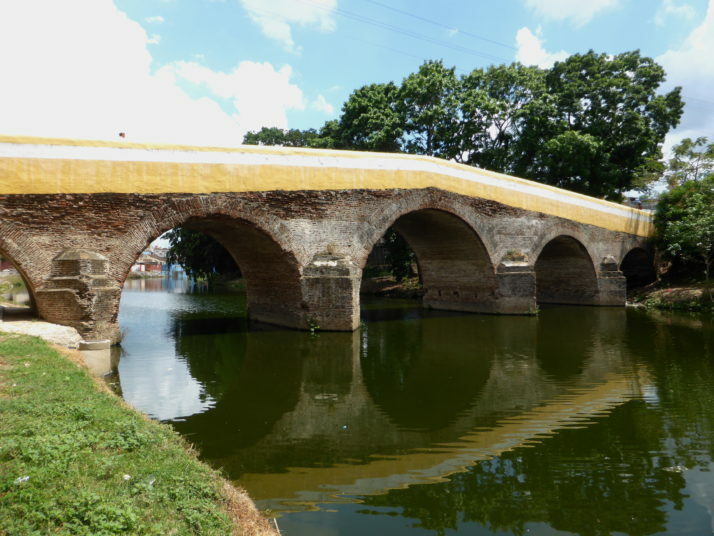 Beautiful, picture-postcard and UNESCO appointed Trinidad is a lot smaller than its reputation implies. 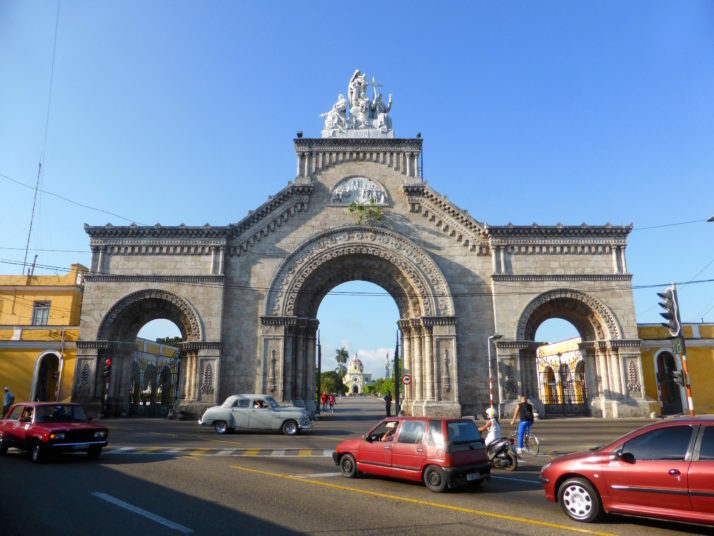 We loved the quiet cobbled streets, live music and shows just off the main plaza and venturing into the Valle de los Ingenios to learn about Cuba’s sugar producing past. 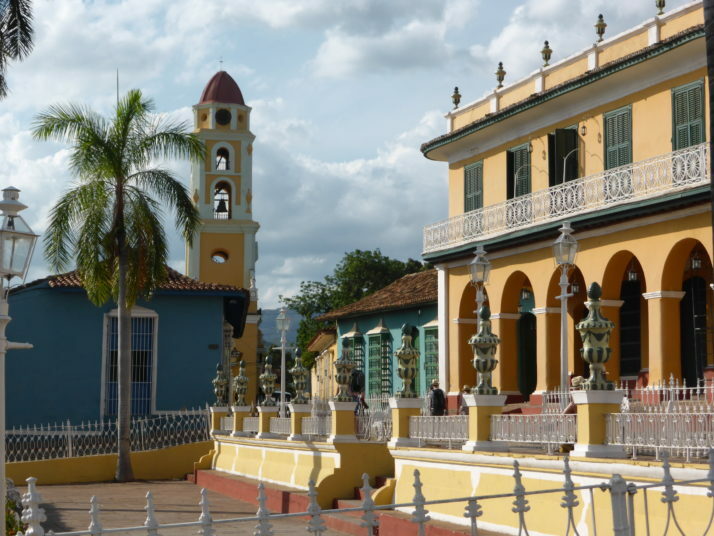 Known for its pretty little bridge and the invention of the guayabera – a white, 4-pocketed men’s shirt – our brief pause in Sancti Spíritus was a pleasant relief from the heavily touristed Trinidad to experience Cuba as the Cubans do. Good for: A giant cockerel that crows at 6am! 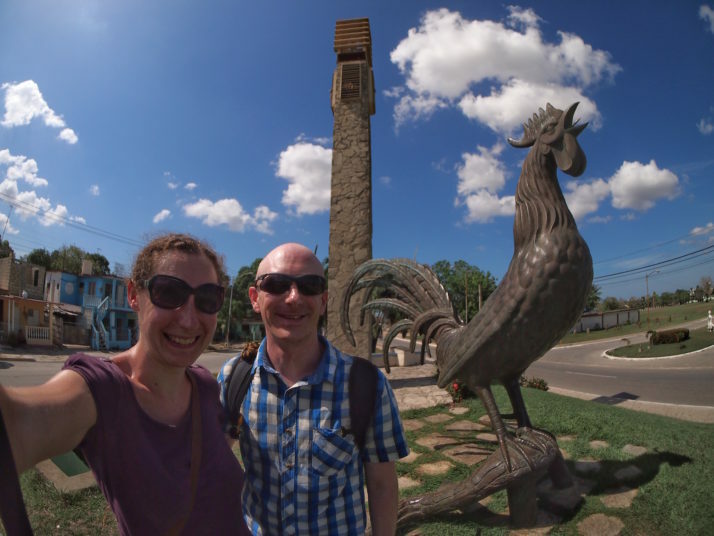 This rural Cuban town is known as the City of the Cockerel – immortalised by a giant bronze statue that greeted our entrance and crows at 6am every morning. We enjoyed looking around the beautiful old train station too. 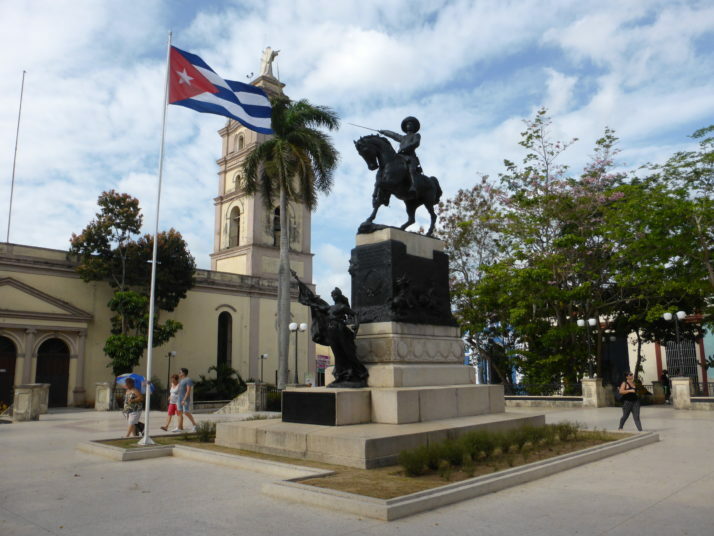 This entry was posted in Places and tagged Cuba on May 24, 2016 by Andrew.